A television commercial was produced for Wild Ginger Restaurants. Newsday listed Ben's Delicatessen Restaurant & Caterers as one of the best places for "Grabbing Lunch Alone" during the holiday shopping season. Ben's location in Boca Raton, Florida received a great review that was posted on The Palm Beach Post's PBPulse website. The three highly recommended dishes were chicken in a pot, hot brisket of beef and egg barley and mushroom. Ben's was featured in a segment about Thanksgiving and Hanukkah occurring at the same time that was aired on WPEC (Channel 2) in West Palm Beach, Florida. Camp-Pa-Qua-Tuck was mentioned in Long Island Business News' "Hot Shots" section with a picture from the Jodi Shapiro Fundraiser. The picture included Jodi's brother, Mark, and other supporters and volunteers. The Port Times Record published an article about Save-A-Pet's annual "Black Cat Friday Event." The Long Island Game Farm's Visitors' Photo Contest winner was featured on the front page of The Port Times Record. 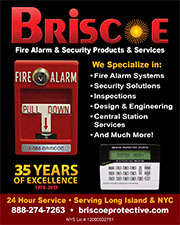 Briscoe Protective Systems helped launch the "Just One Life" program along with the Centereach Fire Department. This was mentioned in 1st Responder News and Fire News. Three members of Sanders Thaler Viola & Katz, LLP were named to Long Island Business News' Who's Who for 2013: Elizabeth Oberg (Women in Professional Services), Joel Reisman (Accounting Audits) and Anthony Viola (Accounting). A 23-page Newsletter was designed for the New York State Society of CPAs. An advertisement was created for Charles Rutenberg Realty to promote their new 2014 programs. DNAinfo wrote an article on the annual Tarek Shbaan Memorial Fundraiser at Ben's Kosher Delicatessen. Long Island Business News reported that Ben's helped The INN (Interfaith Nutrition Network) raise nearly $10,000 for its Day and Giving Event. Ben's also celebrated the groundbreaking of its new restaurant in Scarsdale. This was reported by The Daily Voice, Lohud.com, Real Estate Weekly, Jewish Week and The Westchester Business Journal. Goldie Steinberg celebrated her 113th birthday at Grandell Rehabilitation and Nursing Center. This was covered by Newsday, Newsday.com, News 12, Channel 2 News, TV 55, WINS Radio (1010 AM), FiOS1 News and Hamodia. Margaret Eckel of Briscoe Protective Systems Inc. was interviewed by Long Island Business Newson the benefits of companies having in-house accountants. She was also named as one of LIBN's "Ones to Watch" in Accounting. Big Bang Beverages was named "Startup of the Week" by Long Island Business News. The Alzheimer Disease Resource Center's Westhampton Walk for Alzheimer's and Fall Festival was featured in Newsday's Events section. Their 30th Anniversary Celebration was covered by South Bay Neighbor. A new website was launched for Brickhouse Brewery. Newsday and The Long Islander featured a story about School Business Partnerships of Long Island, Inc. joining the Incredible Bionic Man event. A new website was created for Countryside Animal Hospital. Camp Pa-Qua-Tuck's Spooky Walk was covered by Long Island Advance, Long Island Business News, Neighborhood Newspapers, Hometown Shopper, and the Ronkonkoma Review. Long Island Game Farm's Fall Fest appeared in articles in Newsday's "100 Things Every Kid Should Do on Long Island". Their Girl Scout day celebration was also covered by the Brookhaven Reviewand the Southbay Neighbor. Long Island Advance covered McPeak's Assisted Living's "The Poetry Connection" event. Jane E. Ryan was named as one of Long Island Business News' "Ones to Watch" in Accounting. An article appeared in Newsday covering the Village of Islandia's Mayor addressing the town's finances. 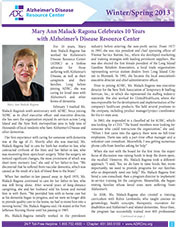 The Long Island Business News honored Alzheimer's Disease Resource Center, Inc.'s Executive Director, Mary Ann Malack-Ragona as one of the 2013 "Health Care Heroes." Save-A-Pet's Suffolk Barkfest 2013, a Halloween party where pets dressed up and were awarded prizes, was covered by Newsday. Newsday mentioned Charles Rutenberg Realty' s sales in an article about homes sold after renovations brought on by Superstorm Sandy. A newsletter was created for the Nassau Chapter of the New York State Society of Certified Public Accounts. Save-A-Pet Animal Rescue and Adoption Center, Inc. joined Guardians of Rescue in reuniting six U.S. soldiers with eight dogs they cared for while stationed in Afghanistan. The story was featured on NBC Nightly News with Brian Williams, Anderson Cooper 360°, News 12 Interactive, FiOS1, Channel 2 News, ABC News, Army Times, Newsday, Huffington Post, and The Washington Post, Long Island Business News and The Long Beach Herald. The Associated Press also reported on this story, which was picked up by numerous media outlets. The Port Times Record also reported on Save-A-Pet providing a service dog for a returning soldier suffering from Post-Traumatic Stress Disorder. Alzheimer's Disease Resource Center, Inc. held its 10th Annual Old Bethpage Walk for Alzheimer's & Mexican Fiesta, which was covered by FiOS1 and the Plainview-Old Bethpage Herald. Long Island Business News announced its Top 50 Influential Women of Long Island. Among those chosen was Pam Moshé of Charles Rutenberg Realty. Customized Facebook tabs, events, and Facebook advertisements were set up for Off-Key Tikki's Polynesian Dining Experience and Polynesian VIP Experience. An advertisment was also placed in Newsday. James McPeak of McPeak’s Assisted Living was interviewed by Long-Term Living magazine for an article on how a high level of personal service can greatly enhance an assisted living facility’s reputation. The Long Island Game Farm was listed in Newsday's Top 100 Things Kids Should Do On LI. A 33-page newsletter was created for the Nassau Chapter of the New York State Society of Certified Public Accountants. Briscoe Protective Systems President Bob Williams was featured in Security Sales Magazine. Marisa Erickson was featured in Newsday and LIBN for her promotion, and Margaret Eckle was picked for Long Island Business News's "Top 50 Influential Women of Long Island". Alzheimer's Disease Resource Center, Inc.'s 10th Annual Distant Memories Swim was covered by Newsday, Newsday.com, News 12, FiOS1 Long Island, The Times of Northport and East Northport and The Long-Islander. The 2nd Annual Riverhead Walk for Alzheimer's & Clambake was covered by Riverhead Local and The Riverhead News-Review. Newsday ran a preview article on the Old Bethpage Walk for Alzheimer's & Mexican Fiesta. Star Island Yacht Club & Marina's 27th Annual Shark Tournament was featured on an episode of NBC Sports Network's "Shark Hunters." Clips of the show can be seen here and here. Ben's Kosher Delicatessen, Restaurant & Caterers announced the grand prize winners of its 40th anniversary contest. This was reported by The Roslyn News and The Island Now. A website and flyer were created for Chris Michaels Hair Salon and Spa. Save-A-Pet Animal Rescue and Adoption Center, Inc. was featured in an online photo gallery put together by Times Beacon Record Newspapers. Save-A-Pet was also featured in a print photo gallery in the Port Times-Record of the 8th Annual Ruff Riders Rally. After providing a service dog for a former U.S. soldier suffering from post-traumatic stress disorder, Save-A-Pet was featured on News 12, Channel 2 News and TV 10/55. Community Housing Innovations, Inc. recieved a grant from the U.S.Department of Housing and Urban Development in the amount of more than $900,000. This was reported in the Long Island Business News. School-Business Partnerships of Long Island, Inc.'s FIRST (For Inspiration and Recognition of Science and Technology) Robotics Summer Day Camp at Dowling College was covered by The Suffolk County News. A new Powerpoint template was designed for Crashe Protective Sports Hats. A 12-page newsletter was designed for Gershow Recycling. PRMG created microsites for Sportsman's American Puppy Breeder's featured breeds and to provide more information about their Rottweiler and Labrador litters. Community Housing Innovations and Birthday Wishes hosted a birthday party for a group of homeless children at Yankee Stadium as part of HOPE Week. This was reported by Long Island Business News and New York Nonprofit News. Saber Real Estate Advisors were joined by the Riverhead Town Board in the groundbreaking of a 119,000-square-foot retail development center. This was reported byRiverhead Local, LIBN.com and The Riverhead News-Review. Save-A-Pet Save-A-Pet and Guardians of Rescue helped a U.S. Army soldier reunite with Bailey, his four-legged “battle buddy” that was with him while he was serving in Afghanistan. This was covered by Newsday, Newsday.com, Channel 2, FOX 5, Eyewitness News, TV 55, PIX 11 News, News 12, FiOS1, 1010 WINS and The Port Times-Record. This was also picked up by Yahoo! News. Lucky, a dog whose life was saved by Save-A-Pet after he was sentenced to death by a judge for killing a cat, received a going-away party at Save-A-Pet. This was reported on by Newsday, Newsday.com, The Port-Times Record, FiOS1, FOX 5 and PIX 11 News at 5 before he was transferred to an animal sanctuary in Arizona. LIBN.com, Real Estate Weekly and the Plainview-Old Bethpage Herald reported on Charles Rutenberg Realty’s expansion of its new corporate headquarters. Joe Moshé was interviewed for a Newsday story on the drop in home prices in southwestern Nassau County as the result of Hurricane Sandy and another Newsday story on the turnaround in the Long Island housing market. Camp Pa-Qua-Tuck's Duck Race and Duck BBQ were covered by WRIV Radio (1390 AM) in Riverhead. The $5,000 Century of Giving grant from the law firm Davidow, Davidow, Siegel & Stern was awarded to the Alzheimer's Disease Resource Center. This was reported by Long Island Business News. Lillian Dent, founder of LL Dent Restaurant, was featured in a Long Island Business News profile. PRMG designed a Website for Breast Cancer Help Inc. and a Logo for Save-A-Pet Animal Rescue. Gershow Recycling sponsored Patchogue Lions Club’s “Christmas in June.” This was reported by News 12. Larkfield Manor reopened after being closed for eight months and undergoing an $8 million renovation. This was reported by The Long-Islander. Brown Harris Stevens: The grand opening of a Dunkin Donuts restaurant in Bridgehampton was mentioned in the Sag Harbor Express. School-Business Partnerships of Long Island, Inc.: The Bayport Lion Bots FIRST (For Inspiration and Recognition of Science and Technology) LEGO League robotics team placed second in the Research category at the 2013 North American Open Championship Tournament at LEGOLAND in California. This was reported in Newsday. PRMG designed an Advertisement for Nicoletti & Harris, Inc., a Letter for Save-A-Pet, an Email Blast for Long Island Game Farm, and Banner for Dreamland Amusements. Board Member Roger Daisley of Alzheimer’s Disease Resource Center, Inc. took part in the Ride to Montauk to raise money for the organization. This was reported by The Suffolk County News. Dori Scofield appeared on News 12’s “Animal Island” to discuss Save-A-Pet Animal Rescue and Adoption Center's latest Pit Bull rescues, tips and training for the breed and the annual “Hounds on the Sound” event. She also appeared with Lynne Schoepfer on News 12’s “Dog Day Fridays” with Six, an abused Pit Bull; Teddy Bear, a Maltese-Yorkie mix who was spontaneously purchased from a pet store; and Baloo, puppy of a stray Hound. The Long Island Game Farm received a rave review from the Today’s Mama blog. Gershow Recycling donated over $1,300 to the Sunrise Fund as part of its Can Tabs for Kids program. This was covered by News 12 and Tri-Hamlet News. PRMG designed a Brochure for Frangeli Consulting & Design, a Logo for Chris Michaels Hair Salon and Spa, and a Flier for Save-A-Pet Animal Rescue. The Port Times Record took photos of this year’s Hounds on the Sound. Save-A-Pet Animal Rescue and Adoption Center received a $5,000 grant from Best Friends Animal Society, which was reported by Long Island Business News. Alexander Roberts of Community Housing Innovations, Inc. was named one of Long Island Business News’ “Ones to Watch” in Not-For-Profits. Ben’s Kosher Delicatessen Restaurant & Caterers was hosting a contest in which anyone who could correctly spell the word “knaidel” — which was spelled correctly by local eighth-grader Arvind Mahankali at the National Spelling Bee — would receive the free food product with a purchase of chicken noodle soup. This was reported by The Queens Courier. Lillian Dent of LL Dent was named one of Newsday’s “Winners” for receiving the Unispan Award. PRMG designed Commercials, an Advertisement and a Coaster for Gershow Recycling, an Advertisement for Star Island Yacht Club and Marina, a Newsletter for Long Island Progressive Coalition. Dr. John Charos of Central Veterinary Associates was featured on WINS Radio (1010 AM), Channel 4, Eyewitness News, FiOS1 News, News 12 and PIX 11 in a segment on the plight of Midnight, a Chesapeake Bay retriever mix rescued from Hurricane Sandy and recently released from a six-month quarantine for possible rabies. Save-A-Pet Animal Rescue and Adoption Center, Inc.'s Lynne Schoepfer was interviewed by Eyewitness News and The Port-Times Record about Midnight, a dog that was brought in from Central Veterinary Associates to Save-A-Pet by Guardians of Rescue. The Long Island Press interviewed Bob Cleva of Crasche about US Lacrosse’s denial of use of the Crasche Middie in girls lacrosse at the high school and collegiate levels. The story was also picked up by NFL Evolution. Alzheimer’s Disease Resource Center, Inc. announced that it has a new support group in Glen Cove for family members caring for a loved one with Alzheimer’s Disease or other forms of dementia. This was reported in Newsday’s Act 2 section. Gershow Recycling donated the use of 30 vehicles for the 6th Annual Chuck Varese Vehicle Extrication Tournament. This was covered by FiOS1 and Newsday.com. Charles Rutenberg Realty's Joe Moshé had an article on short sales appear in the May issue of Mann Report Residential. PRMG designed a Website for Village of Islandia, a Commercial for Alzheimer’s Disease Resource Center, Inc., a Flier and Brochure for Long Island Game Farm, and an Invitation and Advertisement for Larkfield. Anthony Viola of Sanders Thaler Viola & Katz, LLP was named one of Long Island Business News’ “Ones to Watch” in Accounting. News 12 covered the Village of Islandia’s Memorial Day ceremony. PRMG designed a Logo for Countryside Animal Hospital, a Mailer for Beltrami, and an Advertisement for Briscoe Protective. School-Business Partnerships of Long Island, Inc. — The Long Island Regional FIRST (For Inspiration and Recognition of Science and Technology) Robotics Competition was covered by News 12, TV 55, FiOS1, Newsday andNewsday.com. LL Dent Restaurant — The Westbury Times interviewed Leisa Dent about receiving the Unispan Award from Hempstead for Hofstra/Hofstra for Hempstead and her upcoming honor, the Sharon Newman Award, by the National Association of Women Business Owners of Long Island. Charles Rutenberg Realty — Joe Moshé was interviewed in the Mann Residential Report about the improvements in the residential real estate market. Long Island Game Farm — The grand opening of the 44th season was featured in Newsday, Newsday.com and News 12. PRMG designed an Advertisement and Sticker for Gershow Recycling, a Flier for Therapy Center for Children, and an Email Blast for Save-A-Pet Animal Rescue. Camp Pa-Qua-Tuck — Inmates from the Suffolk County Correctional Facility came to Camp Pa-Qua-Tuck to help get the camp ready for the summer season. This was covered by Newsday, Newsday.com and Long Island Business News. Ben’s Kosher Delicatessen, Restaurant & Caterers — Ben’s was mentioned as one of the top places to have a business lunch in Newsday’s ExploreLI article. School-Business Partnerships of Long Island, Inc. — Scott Schuler appeared on TV 10/55’s “Exit 10/55” to discuss the organization, how the robotics competitions get students interested in science and engineering and the challenges the organization is facing to raise money to present next year’s competition. The outcome of the Long Island Regional FIRST (For Inspiration and Recognition of Science and Technology) Robotics Competition was published in Long Island Business News and Newsday’s LI Life section. Community Housing Innovations, Inc. — Community Housing Innovations, Inc. received a $640,000 grant from the New York State Affordable Housing Corporation to be used for down payment assistance for Long Island homebuyers. This was reported in Long Island Business News. Briscoe Protective Systems Inc. — Briscoe Protective Systems Inc. was named one of SDM’s Top 100 companies. 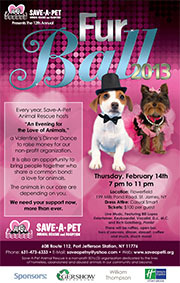 PRMG designed an Advertisement for the Long Island Game Farm, and a Poster and Flier for Save-A-Pet Animal Rescue. Newsday’s Act 2 section and This Week Newspapers reported on the upcoming Alzheimer’s Disease Education Conference & Expo. A house listed by Agent Domenica Krollage was featured in Newsday’s “Why You Should Buy My House” section. Karl Reamer, president of Act1Entertainment.net, has begun a weight loss campaign as a way to raise money for Save-A-Pet Animal Rescue. This was reported by Long Island Business News. The FIRST LEGO League Championship Tournament was covered by Newsday, Newsday.com and FiOS1 Long Island. PRMG designed a Mailer for Dreamland Amusements, a Newsletter for the Alzheimer's Disease Resource Center, a Brochure for Star Island Yacht Club & Marina, a Logo for Wright Wealth Management Group, Inc., and an Advertisement for the Long Island Game Farm. The winners of the School-Business Partnerships of Long Island FIRST LEGO League Championship Tournament were reported in Newsday’s LI Life section. The Jr. FLL Expo was also covered by Garden City News. The Save-A-Pet Animal Rescue “St. Pitty’s Day Party” event was covered by Newsday.com. President/Founder Dori Scofield was interviewed by Newsday about the pit bulls that were rescued and are now currently available for adoption. Scott Sanders and Elliott Lavietes of Sanders Thaler Viola Katz, LLP took part in Newsday’s Tax Panel. Their answers ran in Newsday’s Business LI Section. Ron Mizell of Wright Wealth Management Group was quoted on two of FiOS1 News Long Island’s “Ask The Experts” segments. Mr. Mizell was asked if it was the right time to buy gold and what his thoughts were on the stock market. 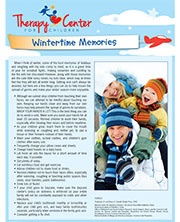 PRMG designed a Newsletter for School-Business Partnerships of Long Island, Inc., and a Flier for the Therapy Center for Children. Mary Ann Malack-Ragona of Alzheimer's Disease Resource Center, Inc. was interviewed by Long Island Business News about local nonprofits going out on their own. Gershow Recycling’s Brooklyn Manager, Eric Kugler, was featured in a New York Times story chronicling the reporter’s car that was damaged as the result of Hurricane Sandy and how it wound up at Gershow to be recycled and shipped out. A slideshow featuring Gershow accompanied the article online. Newsday’s LI Life section reported the School-Business Partnerships of Long Island, Inc.'s results of the Junior FIRST (For Inspiration and Recognition of Science and Technology) LEGO League tournament. Dr. John Charos of Central Veterinary Associates was featured on News 12’s “Animal Island” to discuss ways to keep your pets safe during the Easter season. 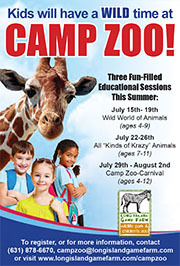 Long Island Game Farm's Camp Zoo was one of the camps featured in the Dan’s Papers 2013 Summer Camp Showcase. PRMG designed a Journal for Save-A-Pet Animal Rescue. Mary Ann Malack-Ragona was interviewed by New York Nonprofit Press on the organization’s decision to break away from the national Alzheimer’s Association chapter. Newsday also interviewed Ms. Malack-Ragona about the increase in Alzheimer’s patients, especially on Long Island. Save-A-Pet Animal Rescue's Dori Scofield and Lynne Schoepfer appeared on News 12’s “Animal Island” to talk about the organization’s “Free Love February” adoption event and the upcoming Fur Ball. The Fur Ball raised $15,000 for Save-A-Pet. This was reported in Newsday. Anne Michaud of Newsday wrote a column featuring Hidden Cove Motel, a multi-family residential facility, and how it is helping East End families in need. PRMG designed an Advertisement for Star Island, a Flier for Therapy Center for Children, a Brochure for Nicoletti & Harris, Inc. and a Poster for Crasche. Ben’s Kosher Delicatessen was voted No. 1 in the Long Island Press’ “Best of LI 2013” in the following categories: Best Delicatessen, Best Hot Dog, Best Lunch Deal, Best Pastrami Sandwich, Best Sandwich Deal, and Best Soup. LL Dent was voted No. 1 in the Long Island Press’ “Best of LI 2013” for Best Soul Food & Southern Restaurant. Star Island Yacht Club & Marina was voted No. 1 in the Long Island Press’ “Best of LI 2013” for Best Boat Store and Best Marina. The kickoff of the 2013 School-Business Partnerships of LI's FIRST (For Inspiration and Recognition of Science and Technology) robotics season was photographed by MSG Varsity. A celebration of Grandell resident Goldie Steinberg’s 112th belated birthday was featured on News 12 and FiOS1, Newsday, Long Island Jewish World, and McKnight’s Long Term Care News’ blog. She was also featured as one of Newsday’s centenarians. Joe Moshe of Charles Rutenberg Realty was interviewed by Long Island Business News on how new federal regulations can affect short sales. Newsday reported on the kickoff of School-Business Partnerships of Long Island’s FIRST (For Inspiration and Recognition of Science and Technology) robotics season for 2013 and the FIRST LEGO League practice tournament. This Week Newspapers featured Gershow Recycling’s $1,000 donation to Glory House Recovery, Inc. to purchase toys for children in need and those affected by Hurricane Sandy. PRMG designed a Poster and Brochure for Save-A-Pet Animal Rescue, a Newsletter for Charles Rutenberg Realty, a Flier for the Therapy Center for Children, Business Cards, Letterhead, Envelopes, and a Brochure for Complete Health Medical, and a Mailer for Briscoe Protective Systems Inc.
Long Island Jewish World featured Ben’s Kosher Delicatessen's special catering package for the Super Bowl. 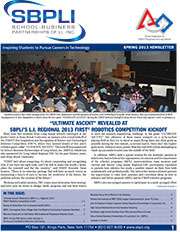 The Queens Chronicle interviewed the Aviation High School robotics team about its participation in SBPLI’s FIRST (For Inspiration and Recognition of Science and Technology) 2013 robotics season kickoff. Mary Ann Malack-Ragona appeared on WALK Radio’s “Island Assignment” to discuss the organization’s breaking away from the national Alzheimer’s Association chapter. Newsday also ran an article about a caregiver class that ADRC is offering. Bridget Costello appeared on WPPB Radio’s “The Eclectic Café” to talk about Camp Pa-Qua-Tuck and its preparations for its 66th season.